Whether you are about to launch a new job board venture or you’re an industry veteran, it’s common to feel like success is a puzzle and the pieces aren’t quite coming together the way they should. 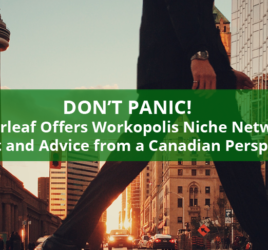 Here on the Careerleaf blog, we lay out the key pieces of the puzzle and give you some ideas for pulling it all together. Even if your particular business model is a little different or unique, there are common areas you can focus on to help create success for your job board. For You: You make a profit by serving your customers (usually employers and recruiters) and users (job seekers) with a unique and compelling product offering, sometimes described as your Unique Selling Proposition). For Your Customers: Your job board helps them advertise their openings, and attract and find qualified candidates. For Job Seekers: You’re a resource. You help them find jobs, discover who’s hiring, and maybe even find advice and tools to help them along the way. So what do you need to build a great job board that fulfills its purpose? When placing the first pieces of a puzzle, you start with the edges, to frame out the finished picture you’re creating. This is what makes the difference between a messy bulletin board crammed with paper notices pinned to it, and a systemized, digital platform that can be viewed and used by thousands of job seekers and employers. So, what makes a good website for job boards? Mobile-responsive: Yes, this is still number one. People are job searching on their phones and other mobile devices, and mobile use rates continue to rise year after year. This isn’t likely to change – at least not until they can implant microchips in our brains or whatever. Probably. The bottom line: If you don’t make your website mobile-friendly, you’re actively turning away visitors. This includes the oft-neglected Employer users! Think about how your marketing information, purchase and posting flow, and candidate management works on mobile devices. Search Engine Optimization: You may think it’s a fancy add-on for technical people, but it’s a basic necessity. Your website and its content needs to use search engine-friendly URL structures, and you need to think about content quality and optimization to increase discoverability. Yoast and Moz are leaders in this space, and offer plenty of resources to help you learn more. Content Creation: Can you create content easily on your job board’s website? This can include posting jobs, but also entails creating static content like “About” and “FAQ” pages for your users, as well as regularly updated content like blogs and news that can tackle the range of subjects that relate to the jobs you post and are actually useful to candidates. Choose a Content Management System that makes it easy to edit and update this content, because frequency, responsiveness and consistency count. Find pro tips on writing great content on The Yackler blog. Easy to Use Tech: Can employers post jobs easily? Can job seekers apply for them? Can your customers pay to post online? These are the very basic questions you should ask of your technology. The most fundamental functions your website should deliver for a job board are the ability for employers and recruiters to post and pay for jobs, and make it possible for candidates to apply. How do you get to a point where you have enough job seekers visiting to attract paying customers, and enough relevant jobs to attract a steady stream of candidates? What if you don’t have customers yet? How do you get them? 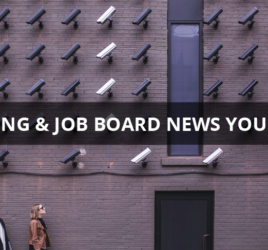 What if you have interest from employers and recruiters, but they need convincing that posting to your board will really help them? Free Trials: Getting new customers to pay for advertising on your board can sometimes be tough. So starting them off with a free trial or a discounted rate can help them learn the value that posting to your board offers, without the risk. Do Sales Work: It never hurts to pick up the phone. Research your list of potential customers, and call or email them, offer those free trials or give them discounts to get them comfortable with you and your board. “Build it and they will come” doesn’t apply here. Offer Additional Services: There are more ways to monetize jobs on your board and expand the value you offer, including job post writing and optimization services, as well as recruiting/sourcing work like short-listing and pre-screening applicants for employers. Remember your strengths and build on them. Last, but never the least, you need to attract candidates, and keep them coming back. Like a big jigsaw puzzle that you can’t finish in one sitting, this is an ongoing effort. Without candidates on your site, you’re posting jobs into the vacuum of space and time, without much consequence. Target Your Audience: You don’t want ALL the candidates. You want the ones that are relevant to your customer’s needs or your specialty. Do you recruit for web developer roles? Research them. Learn about the roles, the skills, the challenges for both them and the employers recruiting them. Create Remarkable Content: “Content is King” is becoming a cliché, but not without reason. You’re lucky, because a good chunk of your content is made up of your jobs, but you can take it a step further. Create or curate blog posts, news articles, and other resources for your job seekers. Make it useful, informative, and entertaining. It makes websites “sticky”, and gives people more reasons to return and check in regularly. Get Social: Social Media will help you expose your jobs, your remarkable content, and your customers, to a wider audience. By cultivating a following on social media channels, it provides another avenue for regularly staying in touch with your target candidates, increasing the afore-mentioned stickiness of your board and your brand. And hey, you can start simple: email job alerts totally count. When you’re ready to advance, set your social media profiles up with a job search app or widget that connects to your board! Grassroots Engagement: It’s one thing to have a social media account and automate posting jobs and content there, but are you actually being social? Try reaching out and having conversations, offering help and advice, participate in chats and groups, and share your resources. Identify online communities with similar or overlapping audiences and dive in! But be real. Nobody likes spam. Be helpful, not self-serving. At Careerleaf, we’ve got some plans in the works to help budding entrepreneurs launch their dream job boards and make them flourish, so stay tuned!